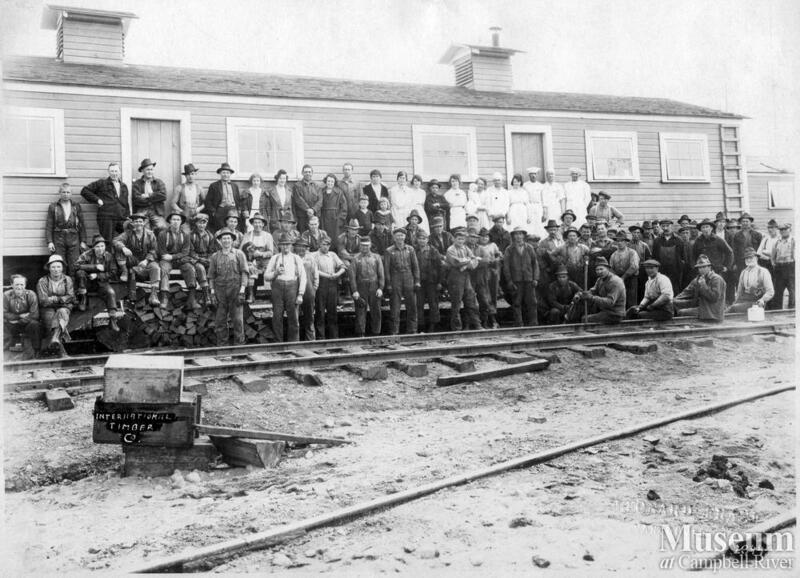 International Timber Co. logging crew, family members and cookhouse staff at Camp #4 posed in front of the cookhouse. 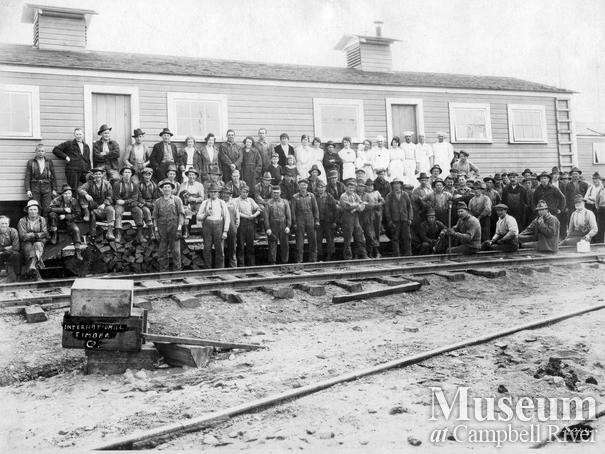 The following people are identified: Mrs. Kusha (kitchen helper) in plaid coat, back row. David Jeremiahson, camp superintendent, on her right (he used to have his own camp).